There are a lot of great playstands out there, and if you can afford them, wonderful! 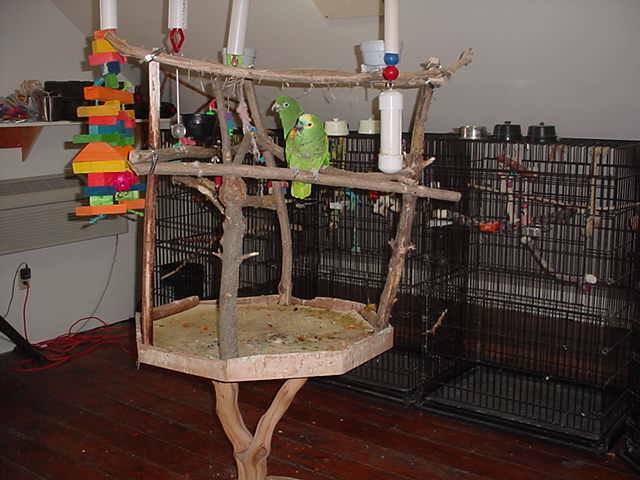 I can't, so I build my own...they aren't as spiffy-looking as what the pros make, but I can give every bird an appropriate gym cheaply. These are made of branches from out in our timberland...you can use what you find...just make sure it's a safe wood, and is free of chemical sprays and other contaminants. If you're not sure, scrub it with a bleach solution and let it air dry. 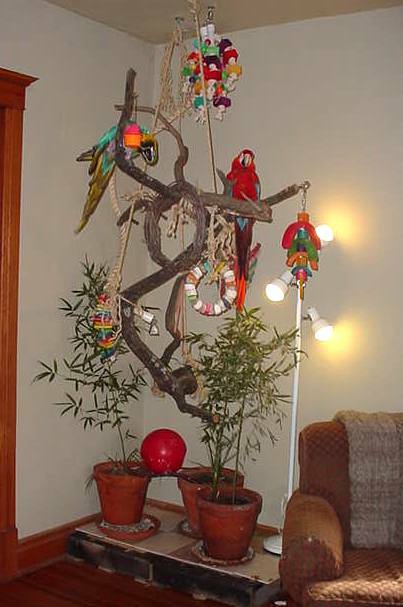 The indoor one hangs from the ceiling from eyebolts, and is lashed together with hemp. The outdoor one is sunk in the ground and fastened to the roof of the aviary, and fastened together with countersunk deck screws. Don't want the birds eating the ceiling or the rafters? Me neither. 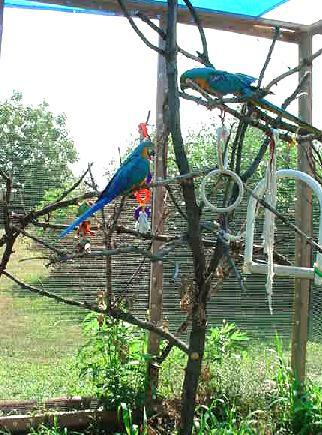 hang the toys and fruit skewers from 24" lengths of 2" PVC pipe, and the birds won't climb where they don't belong. 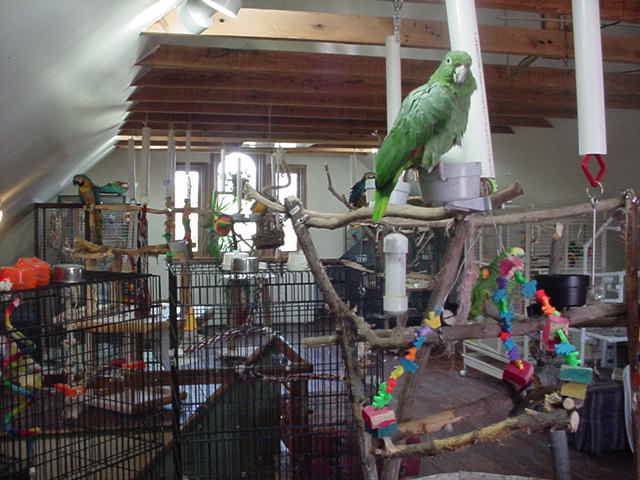 My third floor aviary looks like a sci-fi forest, but it works.